It felt great today to be caught up and able to complete November's block the day it was released! I do have a setting planned and mostly pieced as well. 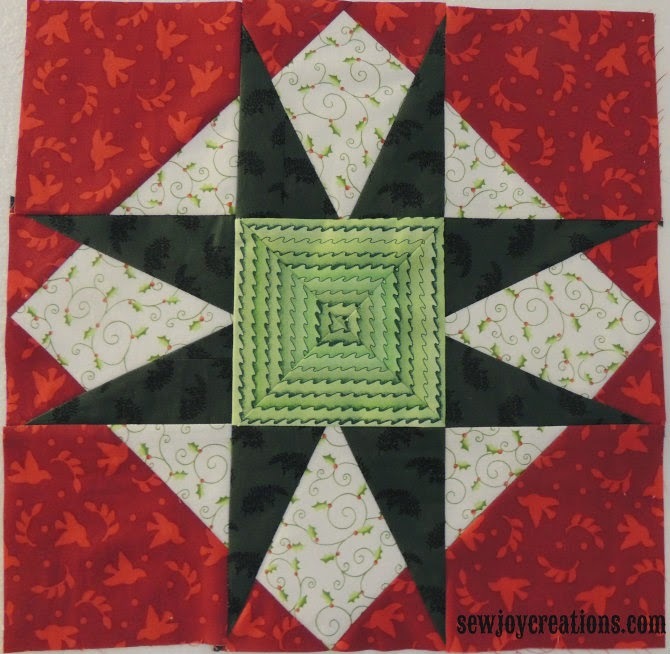 I'm hoping to actually quilt this one during the Christmas holidays and have another Christmas quilt for my house. Of course, I'm not done all of my Christmas gift making. That's what December 23 - 24 is for, right? And. . . I'm starting to be tempted by NEXT year's Block of the Months starting to pop up! 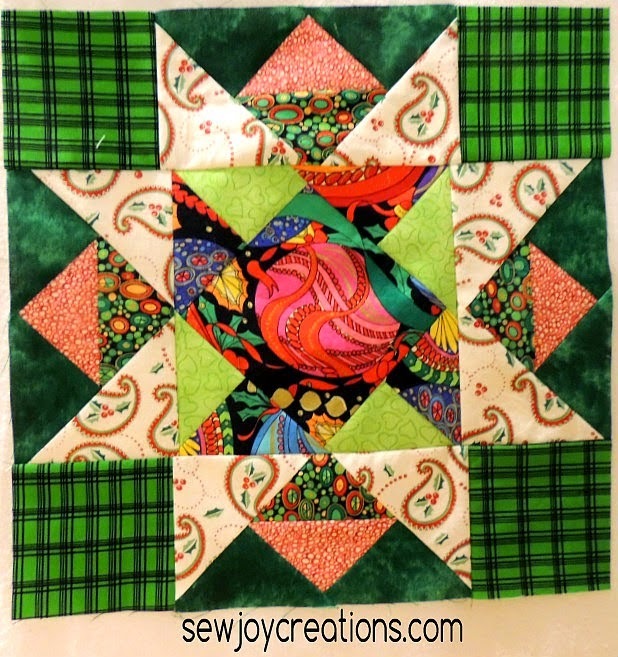 Bonnie Hunter is doing a mystery now, and Pat Sloan has announced it will be pieced blocks again for the Free Quilt Pattern next year. Jan Patek has mentioned she will be doing one. 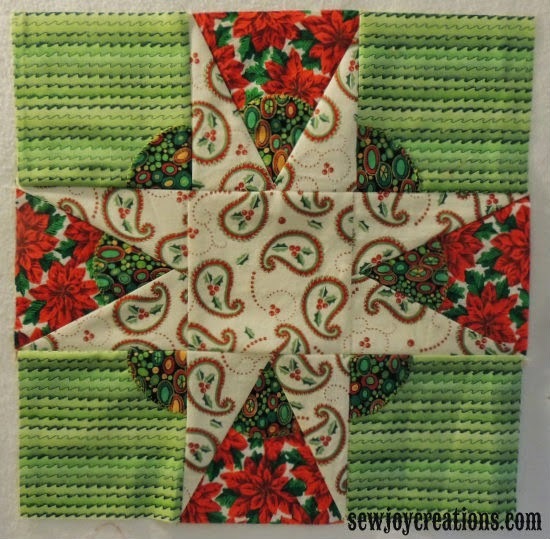 . .
What Block of the Month(s) are tempting YOU for next year? 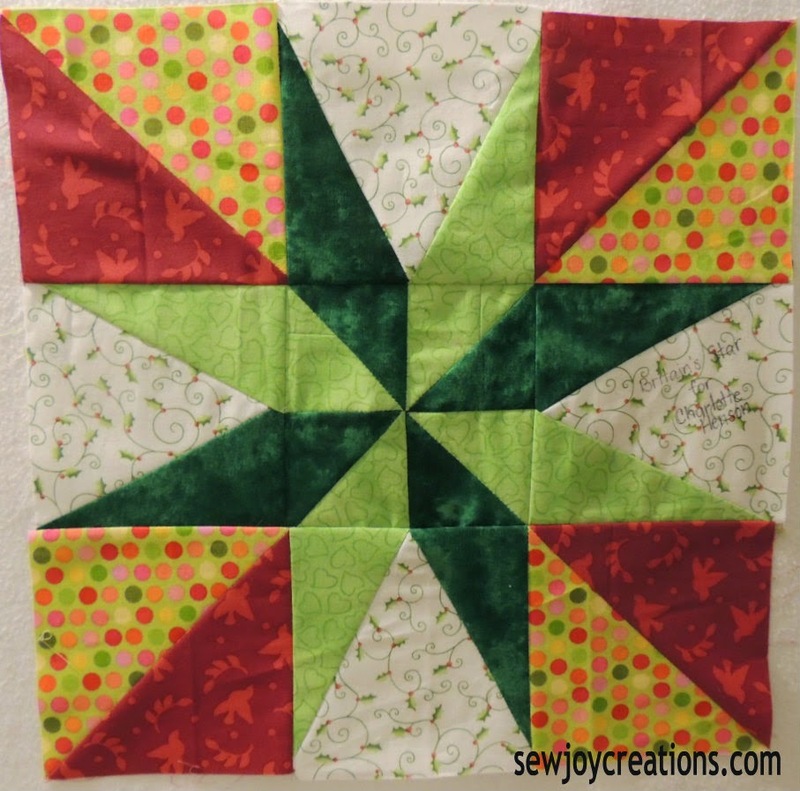 Great blocks and great fabrics. Boy, I'm late getting to your post, but enjoyed seeing your blocks just the same. I'm always tempted too, but I am going to try and refrain on some this year.... and get caught up on some finishing and kits that I still love and want to do. Here we are in December and those BOM need putting together all at once!! What's a girl to do?